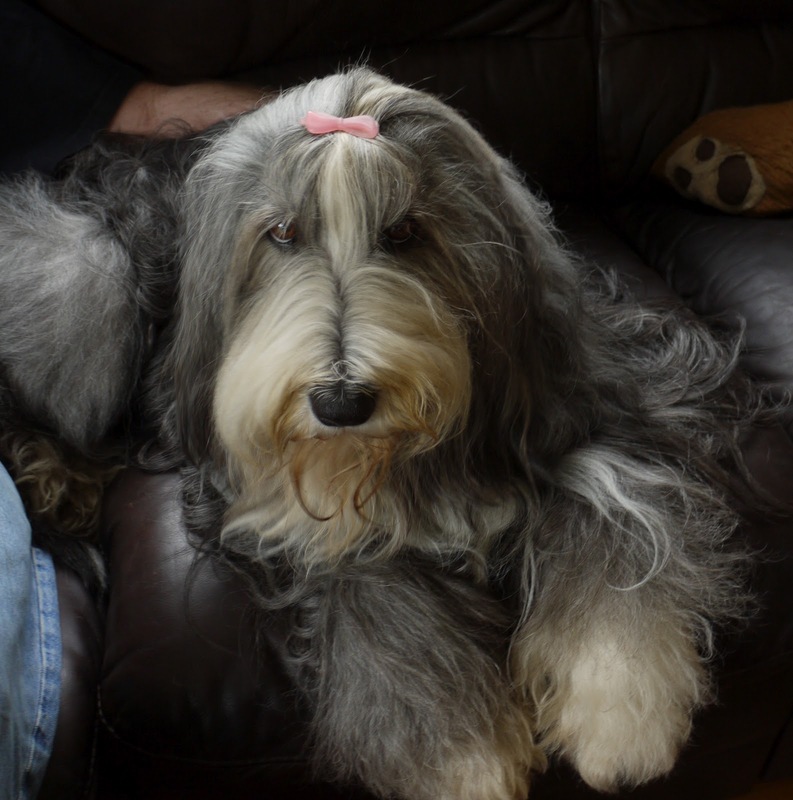 This is Majik Beardie here ~ Mom said I could have a go on her blog ~ after all it is named after me! As you can see I have grown up a bit since the picture above, but I still think I look cute. I live with Mom and Dad, who we have nicknamed 'The Bonio Provider' ~ hereinafter to be known as TBP ~ he goes off on the choo choo each day just to earn money to buy us all Bonios. 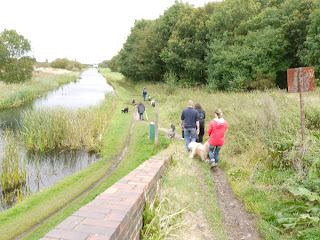 My fur family Bailey and Sorrell live here as well ~ they are Beardies too. Every now and then we all go off on a mini adventure with a lot of other Beardies ~ this happened last Sunday. 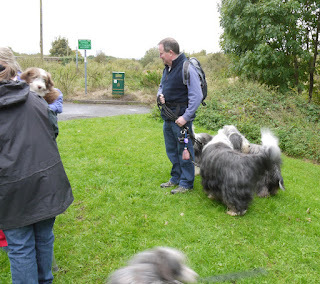 We all went on a jolly nice ramble along the canal side and ended up in a pub ~ funny though ~ even though it was supposed to be OUR day out ~ only the uprights got to eat anything ~ not a chip or even a doggie biscuit to be had ~ I think we need to speak to the Bearded Collie Club committee about this! We are off again in just over a week and Mom keeps telling up we are going to ride on a choo choo ~ something called a steam train? I wonder if that's like a sauna on wheels? Well it has been really nice woofing with you all ~ hope to come back soon with more news from Beardie world. Wauw Majik, you are a handsome beardie!! I will show your photo to our Mylo and I can tell you right now; he's gonna like what he sees! Thanks for the lovely story and sharing the pictures!